The Right Roofing Company that Offers a Proper Maintenance Program Will Help to Extend the Life of Your Roofing System, Save You Money, and Reduce Your Stress! The #1 Reason Why You Should Consider a Roofing Maintenance Program. Due to economic uncertainty and the rising cost of materials it is imperative for building owners, and as well as anyone in facilities maintenance and management, to spend their budget wisely with the ultimate goal of achieving the maximum service life of their roofing system for the least possible cost. The days of short-term quick fix solutions are over, and property managers have to keep the goal of keeping their roofing systems in the best possible condition for the longest time possible. In the past, it has been easy to take the attitude of “if the roof isn’t leaking then I don’t need to bother with it.” However, this attitude has been the cause of unexpected, premature and costly roofing failures. Adopting a proactive roof maintenance program TODAY will ensure the maximum life of your roofing system and greatly reduce any collateral damage caused by leaking roofs. Think You Can’t Afford a Schedule Of Program Maintenance? Cost of damage to building interior, like furnishings and fixtures. Cost of damage to merchandise and inventory. Cost of damage to equipment like computers, electrical, etc. Cost of legal claims from slip and fall accidents. Cost of clean up from water damage. Cost in higher insurance premiums. Cost of replacing your roofing system earlier then expected. Tracking the cost and expense of damage caused by unexpected roof failure has led many facilities managers to understand the need and value of having an aggressive maintenance program. The bottom-line is that it costs much less to be proactive then reactive. 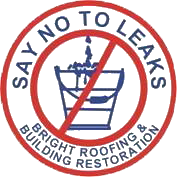 Our fees to be your proactive roof management consultant shall be $350.00 per building per inspection. Invoices will be prepared upon delivery of report, payable upon receipt. For more information on our Program of Scheduled Maintenance click Here or contact us at 313-963-7733.